We live in a world in which information, goods, and services are readily available at our fingertips. 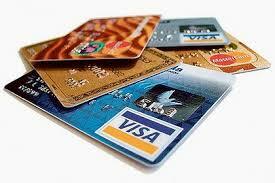 In fact, many people conduct credit card transactions these days without leaving their living rooms. Unfortunately, the prevalence of credit cards has also been accompanied by a number of high-profile Credit Card Fraud, Credit Card Theft, and Forgery incidents. Many times, credit card fraud and theft involve Identity Theft. 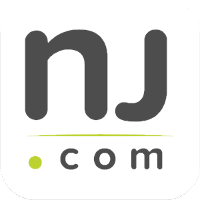 This has led to heightened sensitivity by NJ prosecutors, who often treat theft offenses involving credit cards more seriously than they treat other theft-related crimes. As a result, you could be looking at significant consequences if you are convicted of Credit Card Fraud in New Jersey. The attorneys at the Tormey Law Firm have an excellent track record in New Jersey Credit Card Fraud cases. In fact, we have successfully represented numerous clients accused of theft crime throughout Essex County, including Orange, Irvington, and Belleville. We understand the nuances of NJ theft laws and we know how the local courts operate. Additionally, we have a former county and municipal prosecutor on staff, so we possess insider’s knowledge of prosecutorial tactics in cases just like yours. Call us at 201-654-3464 to discuss your Credit Card Fraud charges and begin your defense now. You can also see examples of our recent successes by viewing our Successful Theft Crime Verdicts and Settlements page. Credit Card Fraud in New Jersey is governed by N.J.S.A. 2C:21-6h. The statute prohibits anyone from using a counterfeit, forged, lost, stolen, or fraudulently obtained credit card to secure money, goods, or services. Knowledge is a prerequisite of most Credit Card Fraud offenses. This means that the prosecution must prove that you knew that you were engaging in fraud. Of course, this is not always easy to prove. For example, you might never have received notice from the credit card company that your card had been revoked; as a result, it’s entirely possible that you continued to use the card without realizing that it was no longer valid. However, if the credit card company did mail notice of revocation, it will be presumed that you knew about the revocation four days after notice was mailed. Credit Card Fraud offenses are typically classified as third degree felonies. If you are convicted of third degree Credit Card Fraud, you may be sentenced to 3–5 years in NJ State Prison and fined as much as $15,000. A related charge is False Statements to Procure a Credit Card. As set forth by N.J.S.A. 2C:21-6b, it is against the law to lie or give false statements in order to obtain a credit card. These lies typically involve the identity of the applicant or the applicant’s financial condition. Even if you are ultimately denied the credit card, you can still be charged with a crime. If you made false statements in order to procure a credit card, the offense is classified as a fourth degree felony. A conviction for fourth degree Credit Card Fraud could net you a punishment of up to 18 months in NJ State Prison and a fine of as much as $10,000. The Tormey Law Firm is a criminal defense team that is committed to helping you beat your Credit Card Fraud charges. Call us anytime at 201-654-3464 to discuss your case, or email us to arrange a meeting at our office in Newark, NJ.